Kudos to Cindy Jutras for her study "Real Facts About ERP Implementation". Her survey showed that two-thirds of respondents graded their ERP implementation as "successful" or "very successful." The survey found 31% thought their ERP project was at least a partial success, while 2% thought they were "not very successful." Only one out of 315 thought their ERP deployment was a failure. ERP needs more positive press. In my upcoming book SAP Nation 3.0, I have several case studies of customers who have implemented S/4HANA "greenfield" and others who have migrated from ECC. The great news - most had modest expectations, did pragmatic implementations and had small doses of big brand SIs. There are other sections on its ByD SME focused product including the fact that "the best compliments they get from customers is that their IT expense around ByD does not grow anywhere as fast as their revenues." I also have several case studies which talk of their experiences with Plex, Workday and other products. A fundamental tenet of manufacturing is to make things close to demand. With middle classes growing around the world, manufacturing in China, Vietnam, Slovakia, Mexico and other countries is not at all unusual. Even more importantly, these plants get moved around the world at dizzying speed. The U.S., with its strong economy, is seeing lots of manufacturing move back here. All this calls for ERP vendors to globalize and in a hurry. Franck Cohen of SAP told us about a multinational customer who asked him, "We love your public cloud but you have to offer us 189 countries localization out of the box.” Customers got that in on-prem versions - why should they expect less in the cloud? Today's shop floors and warehouses have robotics, wearables, sensors and AR goggles. Our 3PLs have telematics. Our accounts payable can use AI for fraud detection, our expense processing uses receipt image processing. We need UX which works on noisy floors where your hands need to be free from keyboard and mouse. It is amazing how many ERP vendors pretend as if all that only happens on planet Pandora. It's our reality and it is embarrassing that ERP vendors are not delivering processes which reflect this changing man/machine mix. Part of the bad image ERP got in the last wave was customers mostly implemented white collar, HQ type functions. They missed out on the plant, the warehouse, the shipping dock, the R&D lab and the quality control areas. That's where the high-value payback happens. We run the same risk this time around. We have vendors who have none of this operational functionality but still call themselves ERP vendors. There are other vendors who claim to have extended ERP to insurance, retail, utility or healthcare but have no operational books of record which support claims processing, merchandising, customer billing or clinical functionality for those industries. Let's call them what they are - "accounting" or "CRM" vendors not ERP or vertical industry vendors. I see vendors justify their moves to next-gen products by telling customers to retire their old customizations. Then they turn around and tell them to use their platforms to write new customizations when that should be delivered as part of their functionality. I see vendors who say "manufacturing should be done on-prem, not in the cloud". Then they glibly talk about machine learning. How much can machines learn if so much data continues to be squirreled away in customer data centers? The ERP brand definitely needs polishing. There are plenty of us like Cindy who are willing to step up to emphasize the positive. But part of that needs to be tough love. We have to demand more from ERP vendors and their ecosystems. Wipro is acquiring Appirio. Congratulations to my friends at Appirio which I have profiled in many of my blog posts and books as a cloud pioneer. But the move needs to come with a warning. Here’s the concern. Most of the large outsourcers depend heavily on ‘post-live” services that came with on-premise systems – application management, systems management, hosting, BPO, upgrades. In cloud world, many of those services are provided by the “as-a-service” vendor. The Appirios of the world focused on implementations and crowdsourcing of resources. Will the larger outsourcers buy into these principles or will they try to sell those large post-live staff even around cloud systems? 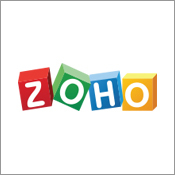 “Wipro is using machine learning algorithms to help with its internal help desk support. The firm has now created an AI platform called HOLMES that uses computer algorithms to reduce human effort in many of its customers’ industries. Tata Consultancy Services is working on an AI platform called ignio to help build applications quickly and get more out of its infrastructure management capability. Infosys has announced a major investment in automation capabilities as well. When you look at automation in the Amazon, Microsoft, Google and other cloud data centers and compare that to relatively tiny investments the major outsourcers have made in their hosting infrastructure, it provides more proof they want to continue their large labor based model. That’s the reason for my increasing the warning level. Buyers need to press cloud vendors to restock their ecosystem with smaller, implementation focused SIs. They also need to push for more automation at the larger outsourcers. Finally, these cloud acquisitions and references are being used by some of the outsourcers as proof of their “Digital Transformation” prowess. As I wrote recently in “Digital Rookies” it takes a lot more than cloud project experience. If I were at Gartner today, I would be starting to work on a similar report today about cloud and digital service providers. My friend Phil Fersht was at the annual Nasscom event in Mumbai last week and wrote “More MBA, less ABAP is the recipe for India’s digital success”. My book SAP Nation shows a $ 200 billion a year ecosystem ready for disrupting, even collapsing. Part of it can come from Indian firms cannibalizing their own services in that market. Much more could come from Indian firms diversifying to SaaS vendors that SAP customers are migrating to and providing third party maintenance to SAP customers. Unfortunately, many will just tell their customers to wait and see how SAP’s next-gen product, S4HANA matures. As I wrote in this post, Digital Transformations require a wide portfolio of skills. “There are so many opportunities to digitize products, channels, shop floors, logistics, business models etc. So many legacy systems need to upgraded and integrated to. The portfolio of skills needed to build a vibrant Digital Enterprise is very wide.” Many Indian firms have some of these components in place, but many need to acquire digital agencies, product centric/R&D focused practices, and as Phil says maybe even some MBAs for digital strategy and business model transformation. This is probably the biggest change Indian firms need to make. They have to quit leading with labor intense models. A blend of symbiotic man-machine skills is key. Indian firms should have been leading the automation of knowledge work. They missed the last wave where Google, Amazon, Microsoft and others have shown the art of the possible. Plenty more to be done there. And even where the model is labor heavy they need to dust off their CMM and Six Sigma disciplines they religiously applied 10-15 years ago. As I wrote here, Moore’s Law is back in the enterprise, and to offset the wage and real estate inflation that plague India, Indian firms need to become even more acutely focused on continuous improvement. When I interviewed Mike McNamara, CEO of Flextronics, the large contract manufacturer last year, I was struck by his comment that they moved a quarter of their physical plant across borders. Manufacturing has become agile – to take advantage of changing US energy economics, to be closer to emerging middle classes in Indonesia, Brazil or wherever and other trends. If physical plant can be moved quickly even with all the logistical challenges, there is no reason why labor pools cannot be similarly agile. Indian firms need to evolve the delivery model – doing the bulk of the work in India may not be the best way any more to service clients in the throes of complex digital transformations. My friend Phil Fersht laments outsourcers are poor marketers. Marketing is easy if you are delivering standout solutions to customers. Amazon does not need brag too much because most customers have seen it has a track record of price reductions. It has averaged 2-3 reductions in AWS pricing – every year! So different from the typical outsourcer who locks customers at pricing for 5 years and makes every excuse in the book to not pass along productivity improvements. Kaggle does not need to brag much because large companies like GE and Merck know they can challenge its crowds of highly qualified professionals to tackle complex analytical problems. So different from the typical outsourcer who hires young, trains them for months, then sells busloads of that as their alternative. It’s tough to market when you are chasing after software vendors as your major value proposition. Lord knows how many outsourcers have asked me “Who will be the next SAP?” Then hate to hear me say Workday or Netsuite because they have commoditized application support and upgrade services. It’s is tough to market when your customers are telling their peers they are cutting back on outsourcing. At the InformationWeek conference today, CapitalOne presented on how they have gone from 75% outsourced to 75% insourced. In one of his first moves, GM CIO Randy Mott asked for several hundred HP EDS staff to be rebadged back. So, here’s a simple suggestion. Focus on customer value and differentiated services and continuous improvement and as a bonus, Phil will find even your marketing has also improved! Is outsourcing success an oxymoron? I have been married 22 years and it’s so easy to find failed marriages. My wife and I instead look for the ones that have worked. Same thing with outsourcing. Even though my new book is not about outsourcing, let me highlight 5 inspirational sections which do relate to successes in outsourcing world. Now wait just a minute. The Boeing 787 was delayed by years. But the use of HCL to test across its supply chain is a big innovation. Also, HCL’s fees involve another innovation – a portion is contingent on the 787’s success. Facebook is not a data center outsourcer. True, but if it can build a world class data center, should not outsourcers? Workday is not a systems integrator. Maybe that’s why they only proposed a fraction of staff and effort of the competing SI. 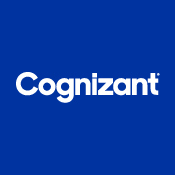 Why do internal efficiencies at Cognizant matter? 500% productivity improvement is impressive no matter where. For a while, the annual Leadership Forum in Mumbai was the IT equivalent of a pilgrimage to Mecca – you had to go at least once in your career. But, last week’s event came and went without a whimper. It has been evolving in the vendors who show up. Used to mostly be Indian vendors – this year the sponsors had names like Accenture, Atos, CSC and Steria. The audience is global – Chinese, Irish, New Zealanders networking with customers accustomed to global delivery. Mercifully, there are many more non-stops to India from most places in the world. What has not evolved much is the content at the event. Each year, the underlying theme is how great outsourcing is, how innovative, without acknowledging that real innovation is happening at places like Amazon and GE and salesforce.com, not in the outsourcing world. Indian politicians pitch how wonderful the country is, but avoiding substantive discussion on infrastructure or inflationary issues. In that sense, the gathering is incestuous, and risks losing its stature in industry events. Nasscom could learn from two of its leading members, Cognizant and HCL . Both run events, Community and Unstructure that are unafraid to drift in innovative directions. More importantly, they allow customers plenty to time to mingle and relax, without being bombarded by constant selling. It’s tough to stay awake in an outsourcing pitch even when Larry Ellison is coming up next – it certainly is when you are jetlagged and have had a couple of Kingfishers! I was struck by two lists I saw this past week. One was in an advertising section in the back of the Fortune 500 issue from the International Association of Outsourcing Professionals (IAOP) with its list of 100 outsourcing leaders (appears primarily sized based though IBM, TCS the largest Indian firm, Cognizant and others were missing). ISS, the firm ranked second on the list, which does facilities management, catering, security services etc had an ad which thanked its 522,835 employees. Yes, 522,835! Two weeks ago, at Sapphire Jim Hagemann Snabe, co-CEO of SAP hosted a group of bloggers and unsolicited, made the comment he wanted to meet with us because in the last few months he had become even more impressed with the power of individuals (as the Arab spring has shown forcefully). The Sapphire expo floor was full of large, gargantuan booths of many of the firms in the IAOP list above. Yet, over and over again I heard questions about whether SAP would stick with its traditional larger partner firms as it rolls out its mobile ecosystem or whether it would emulate more of the Apple/Google model of entrepreneur created apps. Outsourcing in many ways is at the crossroads. While some firms like Cognizant have been innovating and growing nicely (and this year cracked the Fortune 500 list), way too many have just become enamored with size in a world where individuals do seem to matter – and frankly have plenty of choices beyond becoming the 522,836th employee of a firm. Welcome to a different paradigm than we all grew up with. The Nasscom Leadership Forum, an annual fixture in Mumbai is on this week. It exudes a bullish tone after a subdued one the last couple of years. But while there is plenty of talk of innovation at the event, the reality is an “old faithful” benefactor through the two decades the event has been held, the financial services industry is back spending again. If you have read his book Employees first, Customers second or heard him present on it, you know the CEO of HCL is an articulate fellow. But like many technology executives who try their hand at becoming industry analysts, the results are often not pretty. In Vineet’s case, it is this rambling discourse on cloud computing. The second part of the interview shows Vineet’s real comfort zone – customers. And that is why he should be in San Francisco this week. He would see tens of thousands of his clients and prospects lining up at Dreamforce. And many of them would actually thank him for helping them get comfortable with their journey to the clouds. After all, HCL and other offshore firms have helped them get comfortable over the last two decades with remote computing. And taught them how to do due diligence around far away teams and computing assets. And built their expectations around continuous improvements. This would reverse the title of the book. He should talk to these customers first, and then go challenge his employees. Questions for his employees: These customers are getting used to 5 minute upgrades in SaaS world. How many of our application management clients can come within hours of that benchmark? Cloud vendors are building expectations of per-user per-month pricing. Why are we still pricing our contracts based on our (HCL) headcount? And pricing for software, hosting and application management will settle at less than $ 100 per user per month for most enterprise applications. At how many clients can we deliver just the application management part for less than that? Why do we persist in doing so many tasks on a dedicated, single-tenant basis? Is HCL’s work really that strategic to our customers to justify that level of segregation from that of other customers? I hope he does show up. I would like to shake his hand and get him to sign his book for me. He has done a number of things well for HCL the last few years. Navigating it through the clouds will be fairly easy if he listens to the customers who are at Moscone this week. So I get a Nasscom conference email on SaaS and clouds – and I go it’s about time Indian outsourcers built significant SaaS and cloud practices.. But the presenters are Google and Zoho and salesforce. Not TCS or Wipro or HCL. While I see pockets of investment around salesforce.com and interest in App Engine and unique cloud testing, Indian outsourcers are mostly sticking to their comfort zones – SAP , .net, more traditional testing and remote infrastructure support. A bit surprising given how well Indian providers helped break barriers to distance delivery, passed numerous due diligence audits themselves, have delivered to stringent SLAs of their own etc.